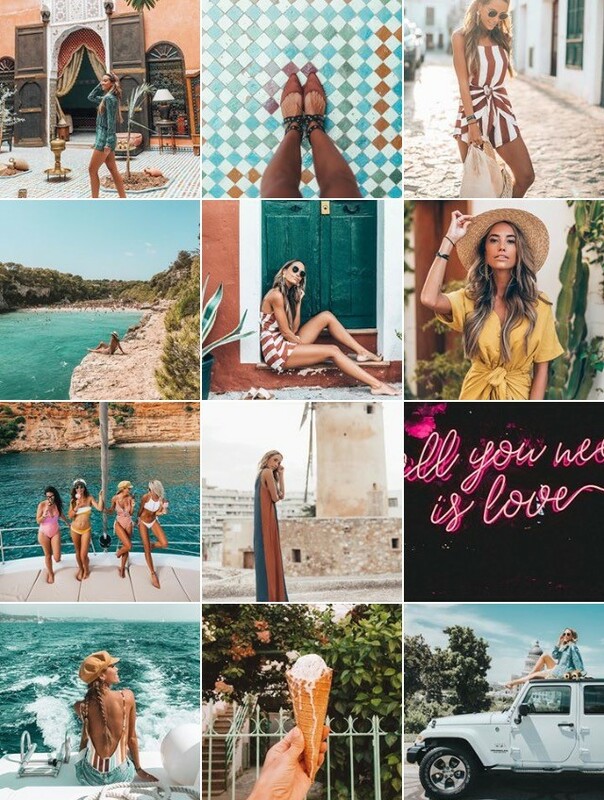 If you’re anything like me you probably spend countless hours scrolling through beautiful Instagram feeds and find yourself becoming hugely wowed and inspired to make your own feed a little more exciting. I absolutely love Mel's Instagram feed, it's always so bright, colourful, and everything is perfectly positioned. Her stories are always so uplifting too! Mel recently went on The Yacht Week around Mallorca and the photos from that are incredible, they're fabulously shot, edited, and look like so much fun. I'm already planning my Yacht Week trip for 2018. Lisa also recently went on The Yacht Week, with Mel, and her photos from this are equally fabulous. There's always a burst of colour in her photos, and they really do capture the life and fun of the moment, and again her stories are so worth watching. There's always a giggle moment. I am loving the occasional 'follow me' snaps too! Lauren's photos always look so luxurious, with a lovely finished edit to them. I love that they feel so magical, as if you're getting a secret peek into her adventure..., and they really do entice you to hop on a plane and jet set to some fabulously remote destinations. 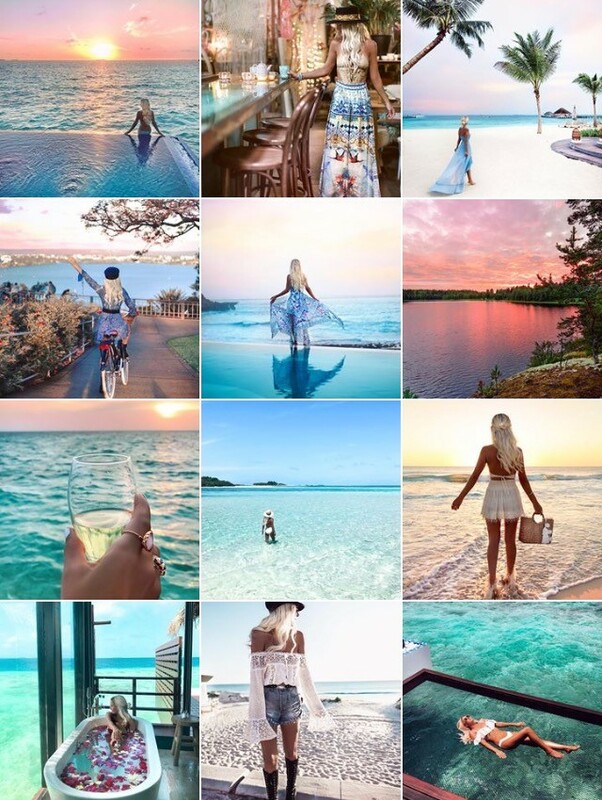 Hayley is another fabulous Instagrammer with lots of vibrant destination snaps. Everything is positioned just right, with lots of central focal points. I love that it feels as though you're following along on her adventures. Lots of beautiful ocean and water vibes here. It helps that Emily is absolutely beautiful, hair goals, but her fashion snaps are just perfect. Her outfits are always incredible, and she's always perfectly put together. With a plain, simple white background her fashion shots always pop in my feed. I am beyond loving her beautiful shots in Iceland too, go and take a peek. Emily also tags where each of her outfits are from. Now, I think I've got a stalker obsession going on with these ladies without even realising it, because Meg was also on The Yacht Week with Mel and Lisa. 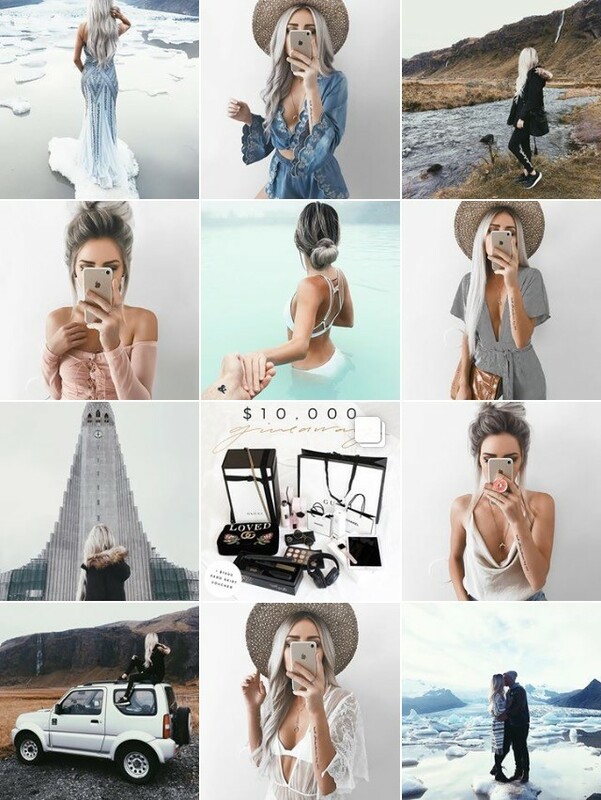 I mean, what's more perfect than a blogger/Instagrammer girl trip. Her photos are just fabulous, with fabulously edited finishes. Meg's stories are also ones that I look out for, I absolutely love them - from giggle moments to pure bliss views. I adore the colours in Helen's incredible destination shots. Her photos are so vibrant in my feed that you really can't miss them. Lots of beautiful beachy, boho vibes. 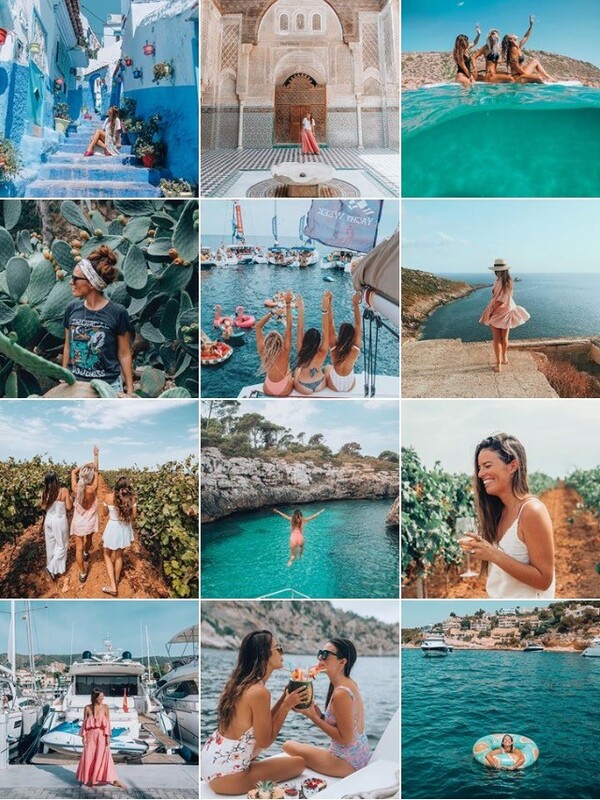 Her stories give a little more 'live action' moments of her day to day adventures and her feed shots are pure vacation goals. There are so many many more fabulous Instagram ladies I adore, like @natspencer @conveythemoment @alexajeanbrown and @krystin_lee ! Whenever I see all of these ladies appear in my ‘stories’ feed, I am always so excited to take a peek. They’re either somewhere amazing, taking incredible shots, or simply utilising their creative flair – whether it be travelling, fashion, or photo editing. The dreamy inspiration oozing from these ladies is just beautiful. I’m always finding new amazing Instagrammers and bloggers to follow, and I seem to be leaning toward the travel bloggers a little more lately (as you can probably tell). 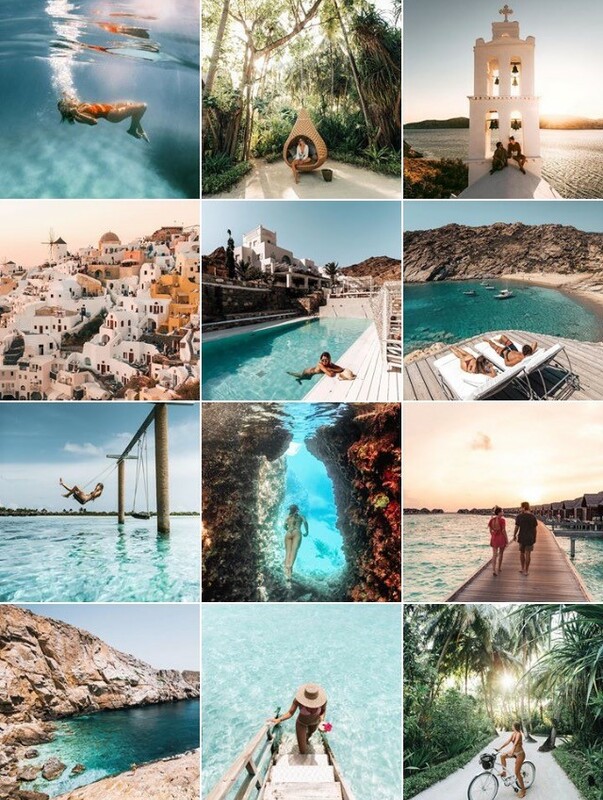 So many inspiring images in so many magical places… they’re all making me want to book my next adventures! If you follow any incredible Instagrammers or bloggers, show a little love for them by sharing their handles/links in a comment below. I’ll absolutely be sure to take a peek, you can never have enough inspiration in your life. This is great - thank you! I'm always looking for new Instagram accounts to follow, and they can be so hard to find sometimes! You're so welcome! I hope you find these ladies as inspiring as I do!